Join us in Brooklyn for some yoga tonight! 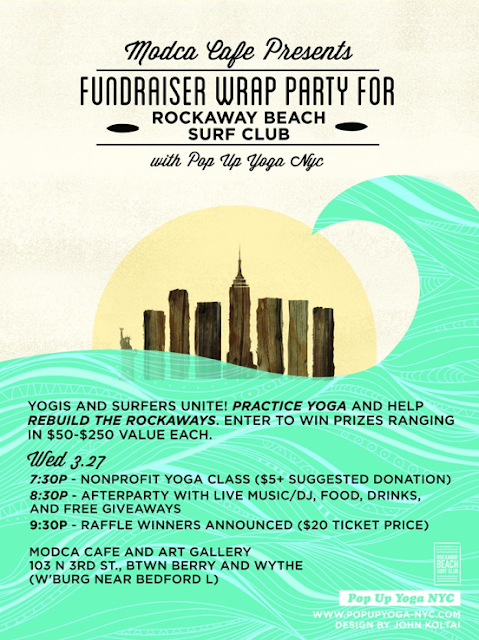 Pop Up Yoga NYC, known for hosting classes in rather outlandish locations, has popped up in Modca Cafe in Williamsburg, Brooklyn to support Hurricane Sandy recovery. Tonight is the finale event - yoga session will be followed by an afterparty with raffled wares by local surf brands.